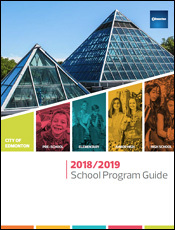 These guides list the recreation, community, and school programs offered by the City of Edmonton. Look up your course code and Register Online. 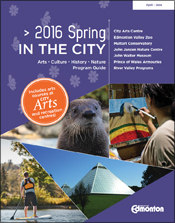 This guide showcases arts, culture, history and nature at City of Edmonton attractions. 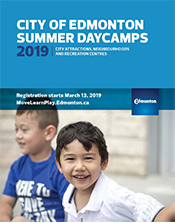 Your guide to daycamps at City of Edmonton facilities and in your neighbourhood. 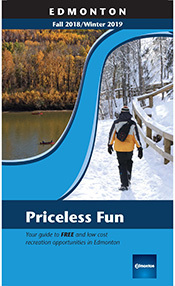 Free or low cost arts and culture, sport and recreation, events, and leisure opportunities. 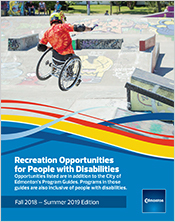 Recreation and leisure opportunities for people with disabilities at locations across the city. 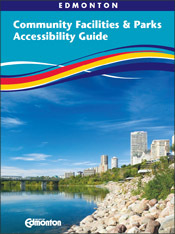 Accessibility features and ratings for City Attractions, Cultural Sites, Parks, and Recreation Centres. 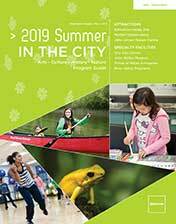 Hands-on interactive programs for schools at City attractions, recreation centres and cultural sites. Applications for 2019/20 program reservations will be accepted starting May 1, 2019. 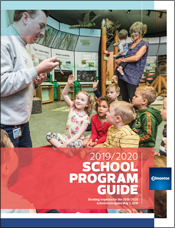 Hands-on interactive programs for schools at City attractions, recreation centres and cultural sites. Know before you go! Subscribe for facility notifications and be notified about facility closures and service interruptions. 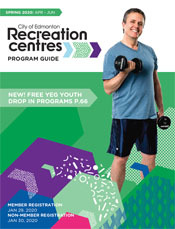 Have the City's diverse collection of recreation facilities work for your business by having them spread your message.